The minister's response came on the backdrop of the ongoing protests by SSC CGL candidates alleging the paper of a tier two examination was leaked last month. Government has referred the matter to CBI for a free and fair enquiry, the minister said. 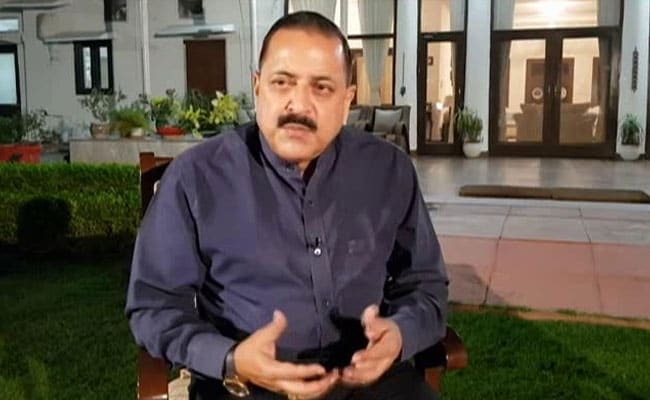 New Delhi: Minister of State for Personnel, Public Grievances & Pensions, Dr. Jitendra Singh said there was no leak of question papers of Staff Selection Commission (SSC) Examination. However, the minister also said the Government has referred the matter to CBI for a free and fair enquiry. Dr Singh's response came on the backdrop of the ongoing protests by SSC CGL candidates alleging the paper of a tier two examination was leaked last month. The minister in a written reply to a question in the Lok Sabha today, said that, in view of some sporadic incidents of alleged cheating by some candidates at a few venues and subsequent agitation by a section of the candidates, the Commission recommended for an impartial enquiry by CBI. "Accepting the recommendation of the Commission, Government has referred the matter to CBI for a free and fair enquiry on 8/3/2018," the minister said. SSC has recently conducted re-examinations for the all candidates who had appeared for SSC CGL tier 2 tests on February 21, 2018 all venues across the country. SSC had earlier cancelled a Paper - I Quantitative Ability exam held on February 21 on technical grounds and rescheduled it for March 9. The Supreme Court on Tuesday dismissed a PIL seeking a CBI probe into the case after the Centre informed it that the probe agency has already started investigating it. The SSC annually conducts eight mandated all India Open Competitive Examinations for filling up regular vacancies and also for recruitment to selection of posts in various Ministries/Departments, attached and subordinate Offices, where the essential qualifications vary from Matriculation to Post Graduation specific to the job requirements of that Ministry/Department. According to the minister, the commission also organises three Limited Departmental Competitive Examinations for promotion from (i) Multi Tasking Staff to Lower Division Clerk, (ii) Lower Division Clerk to Upper Division Clerk (iii) Stenographer Grade 'D' to Stenographer Grade 'C'. "The Commission also conducts three non-mandated examinations, namely, (i) Constable (General Duty) Examination for Paramilitary Forces, (ii) Constable (Executive) Examination for Delhi Police and (iii) Recruitment to Scientific Assistants in India Meteorological Department (IMD) Examination," the minister said.